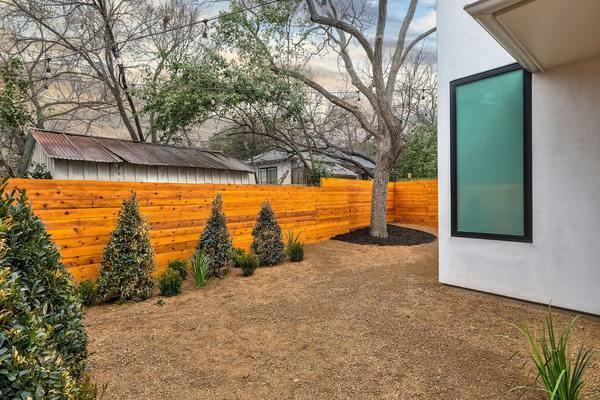 Soon after this move, Mason decided to turn his passion into a career. 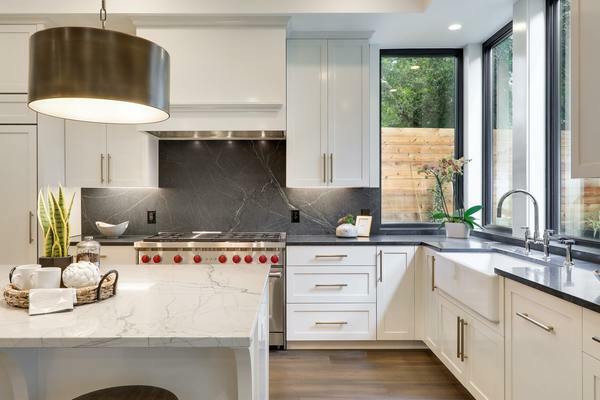 Before Gottesman Residential, Mason was integral in the formation of a startup real estate firm that developed its business and reputation steadily during his tenure. .
Charming Old Enfield home extensively remodeled in 2007 by Emily Little. 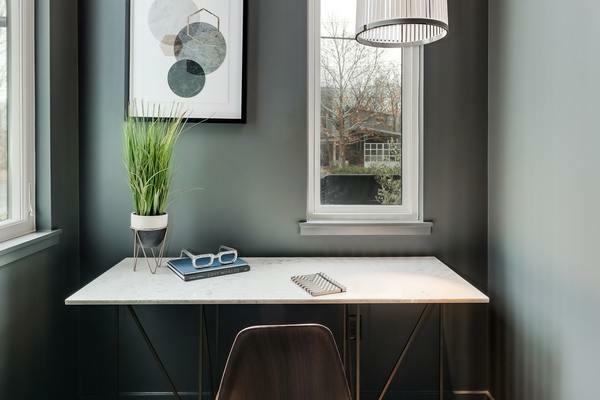 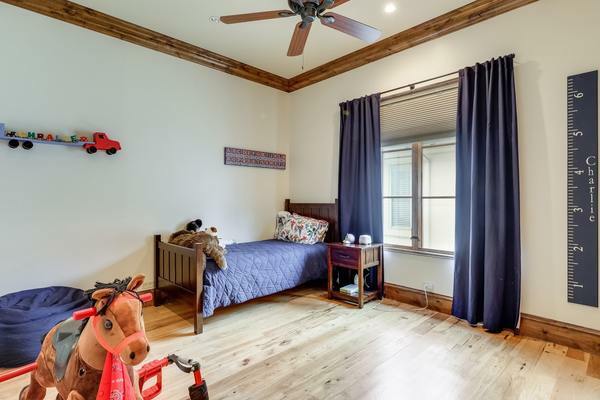 Numerous custom details throughout, including custom iron work on stair rails and banister, antique schoolhouse doors, and an abundance of custom cabinetry. 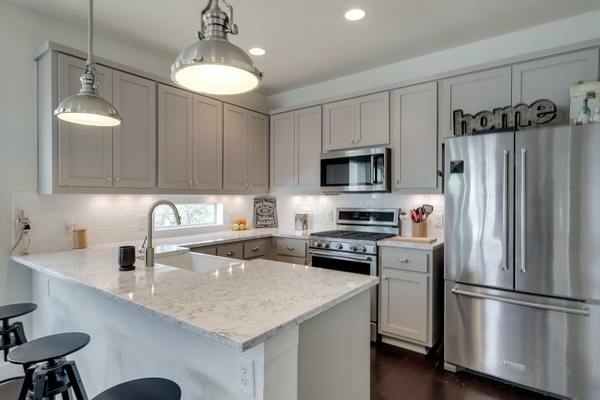 Wolf and Sub-Zero appliances, EWS water filtration throughout the entire house, high ceilings, abundance of storage, spacious screened porch, wired for security, ethernet, and stereo. 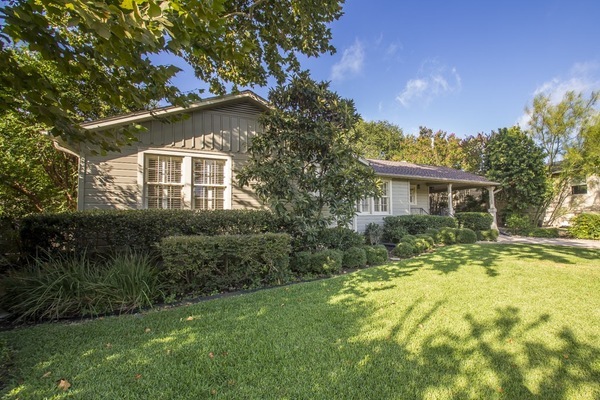 Large corner lot with mature landscaping and room for a pool. 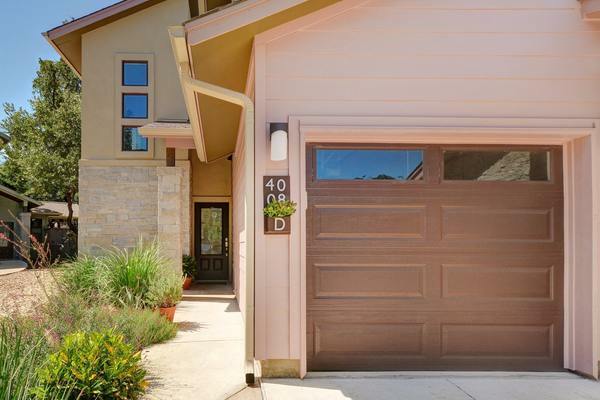 Two-car, detached climate-controlled garage with covered access to the house. 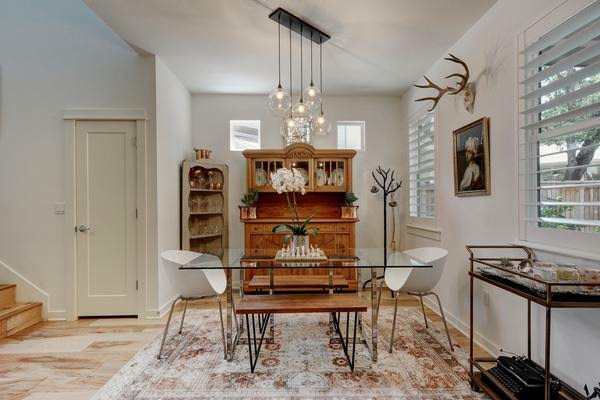 Pristine condo in the heart of Pemberton. 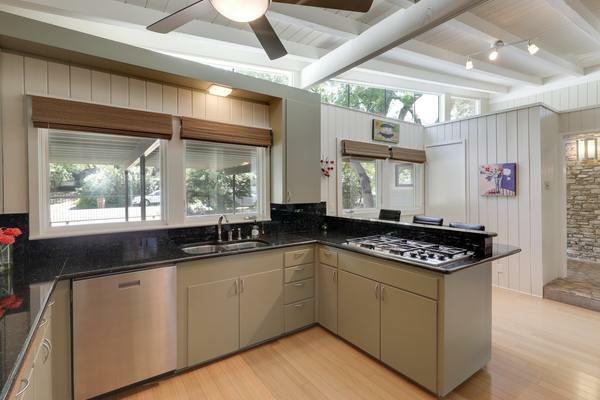 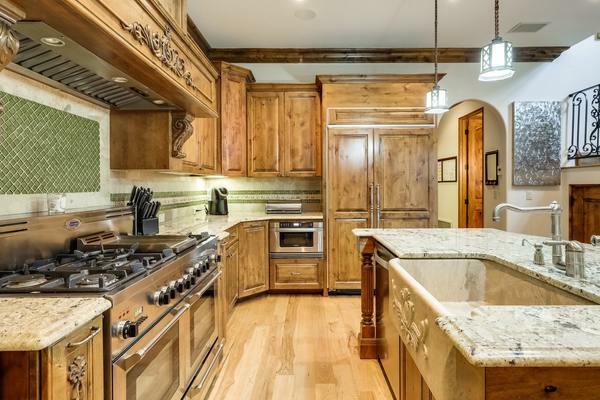 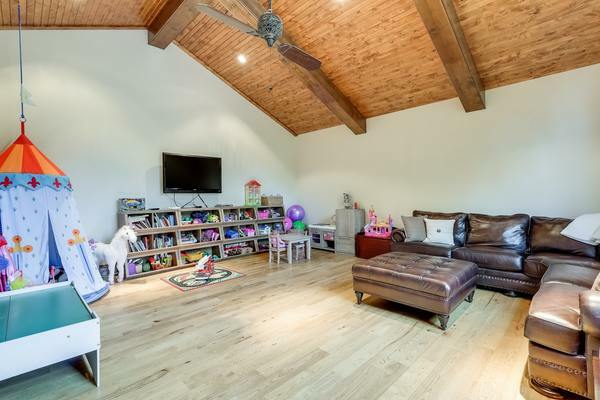 Meticulously maintained property features an open floor plan with ideal entertaining areas. 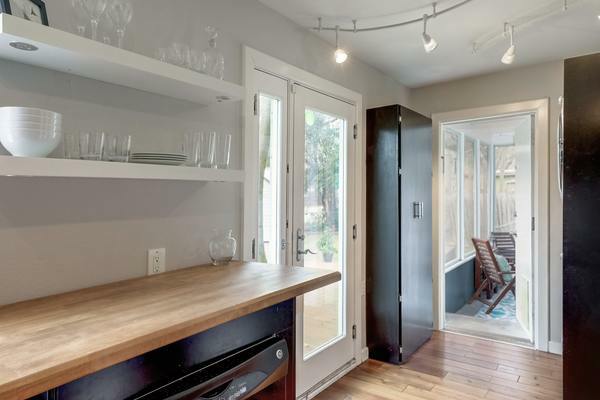 Gourmet kitchen open to the inviting family room overlooks the fenced backyard. 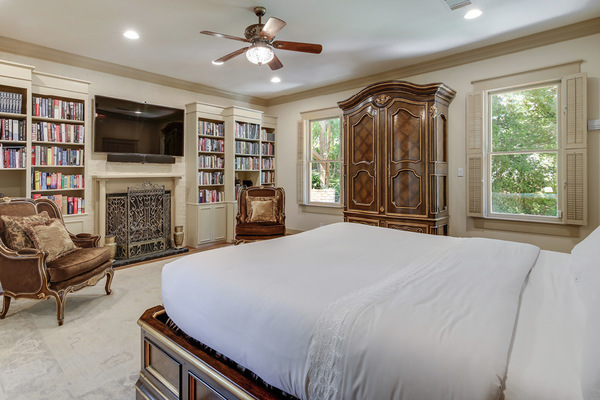 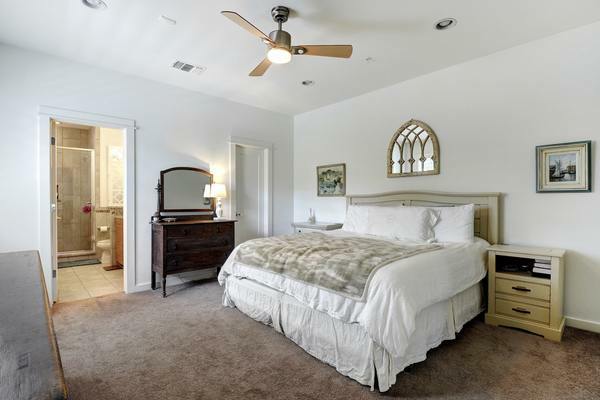 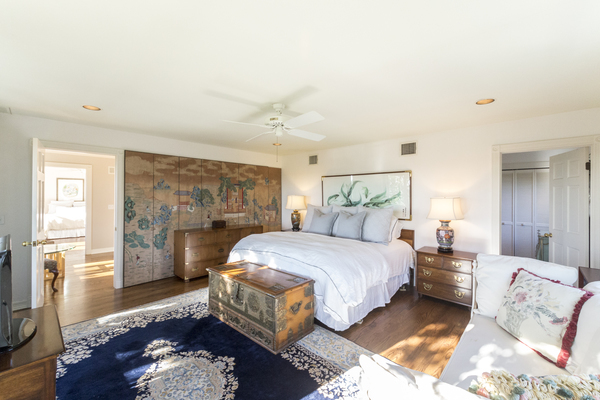 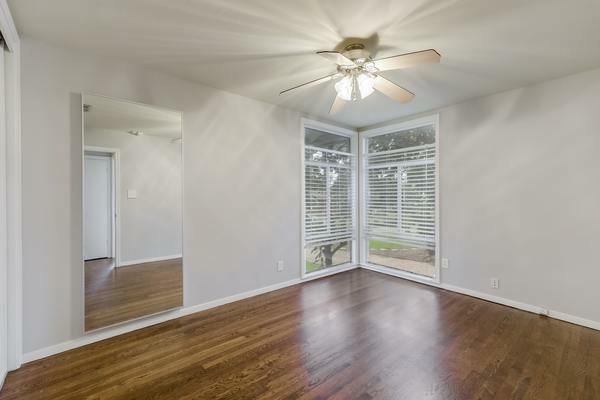 Upstairs includes a gracious master suite with balcony, spacious walk-in closet and bath with ample storage throughout. 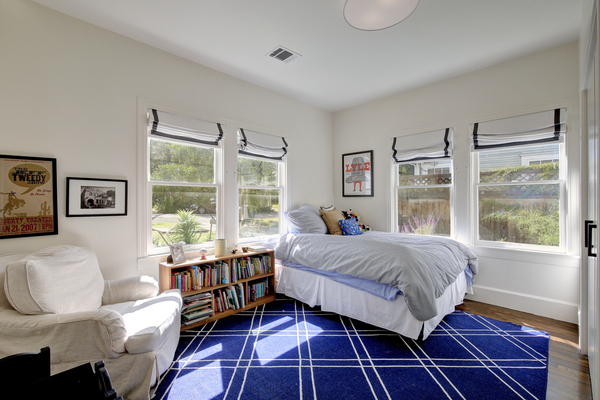 Two additional beds and an office complete the second floor. 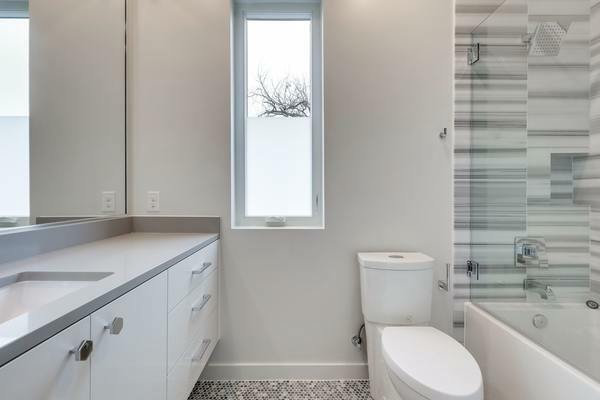 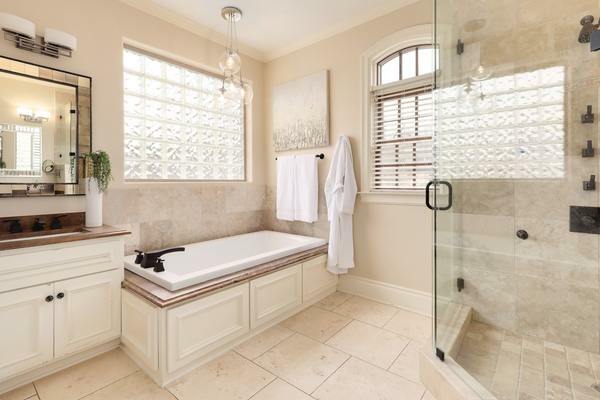 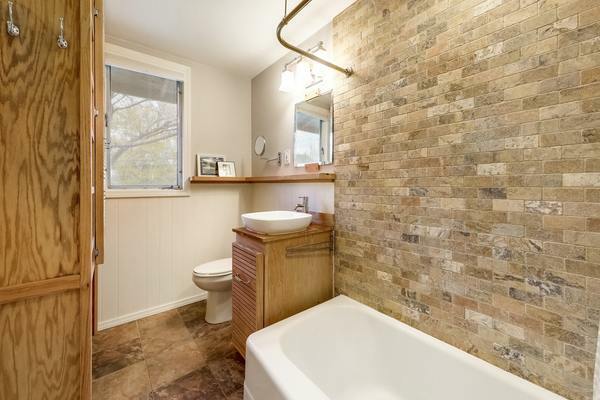 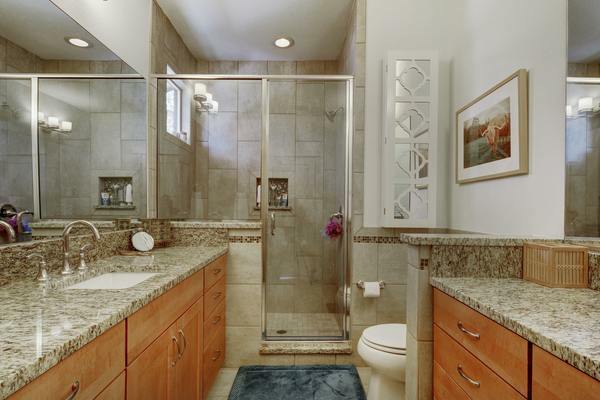 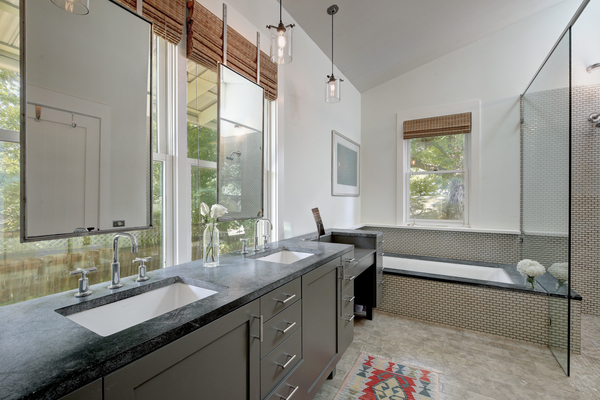 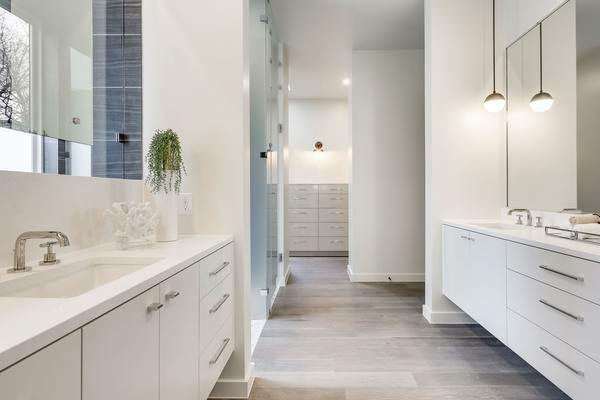 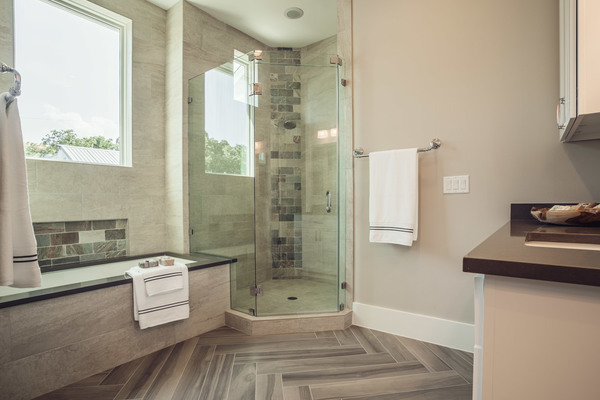 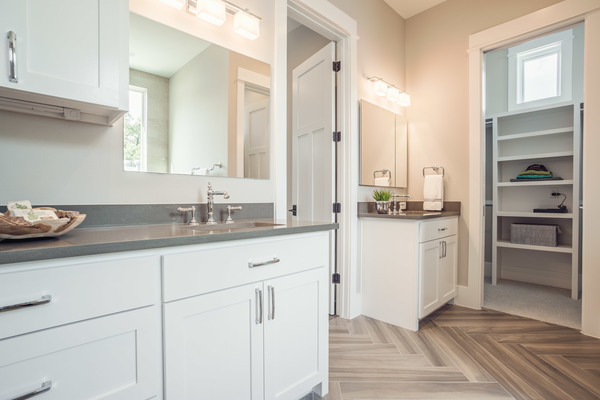 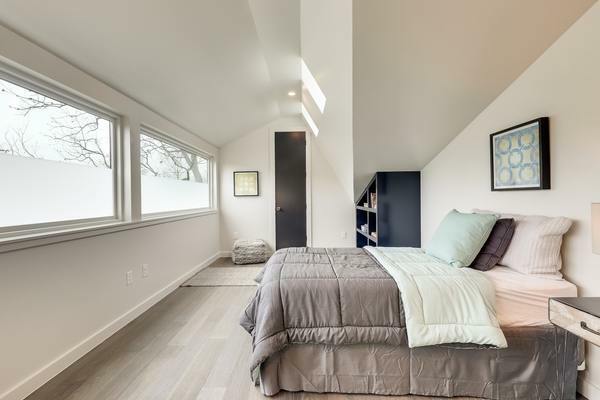 A finished third floor includes two additional rooms with a bath and additional storage. 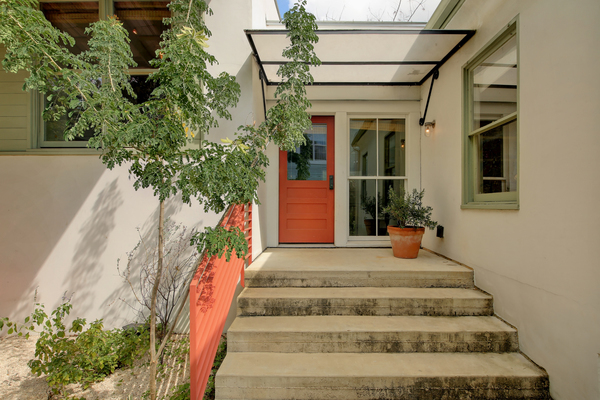 2424 Hartford also includes an elevator for convenience. 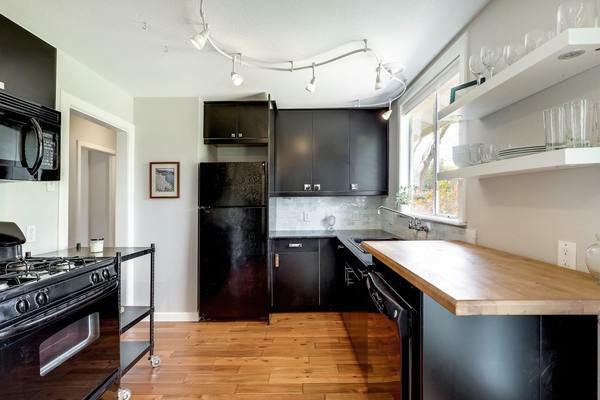 Great opportunity to own a recent construction 3 bedroom free standing condo on the "Eastside". 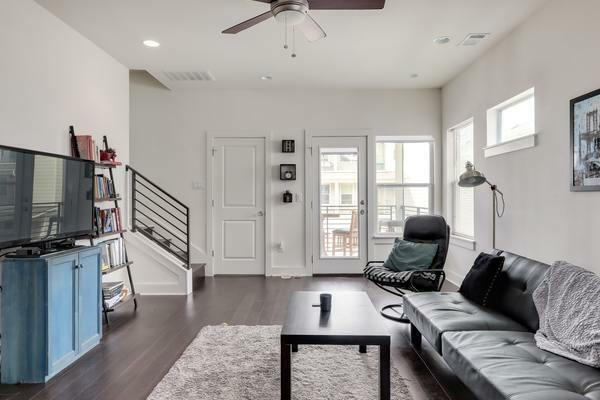 Built in 2015, The Orchard condo complex is right in the heart of the vibrant East Austin community. 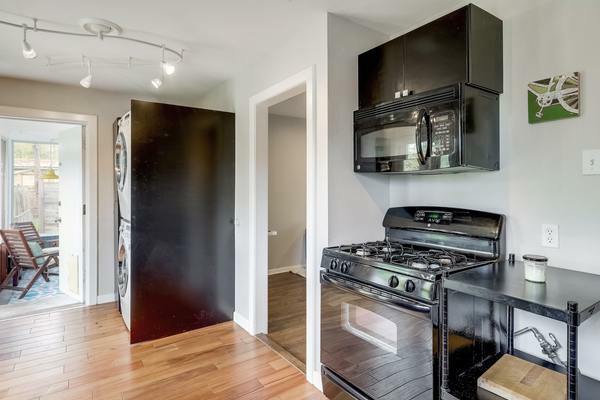 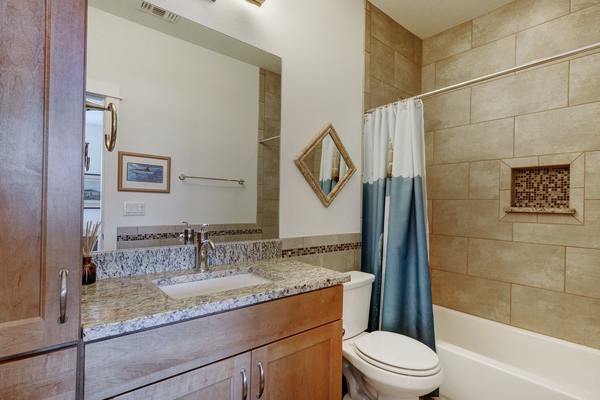 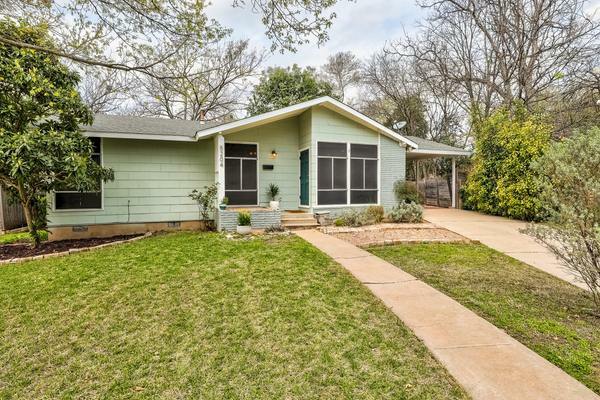 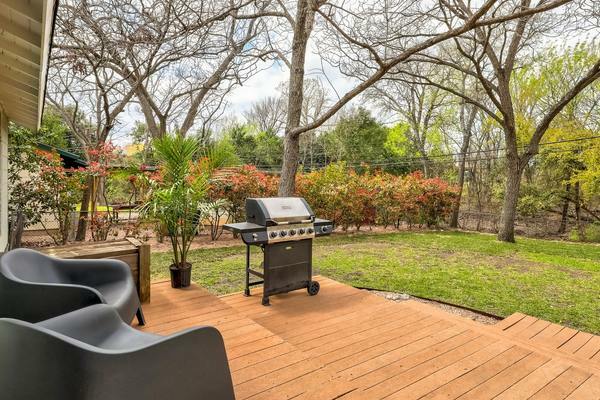 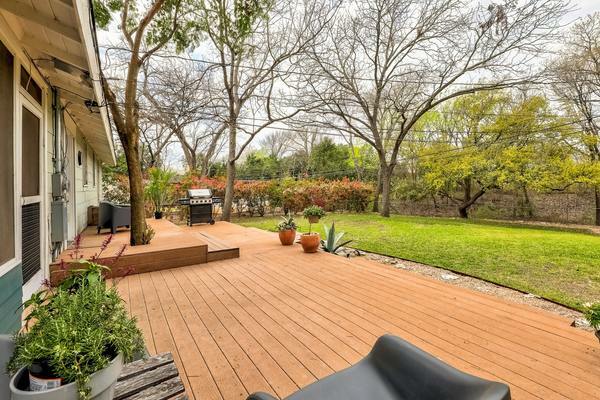 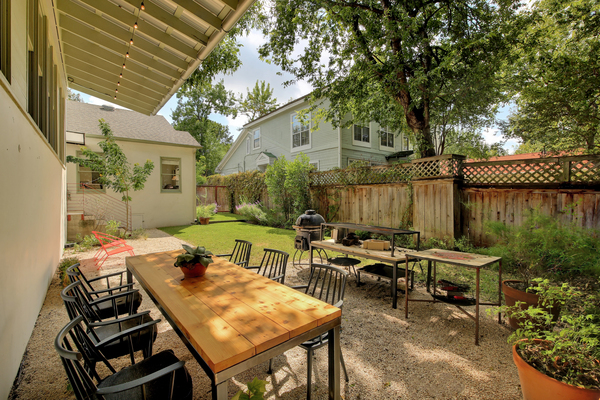 Walking distance to bars restaurants, community gardens, and just minutes from DT Austin. 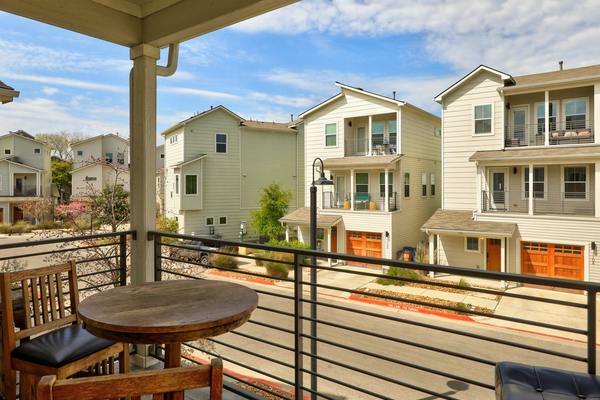 Unit currently leased until end of July, 1109 Euphoria #33 is a great investment opportunity. 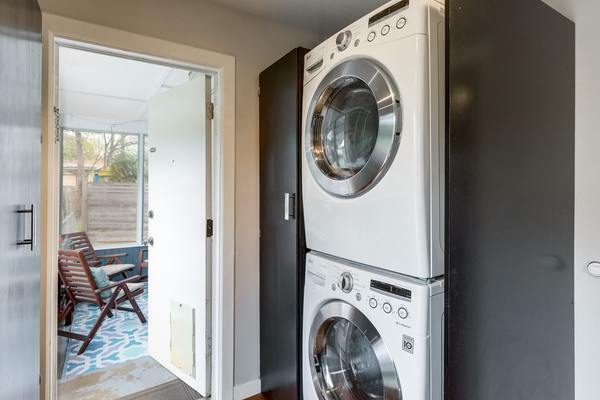 Rental rate upon request. 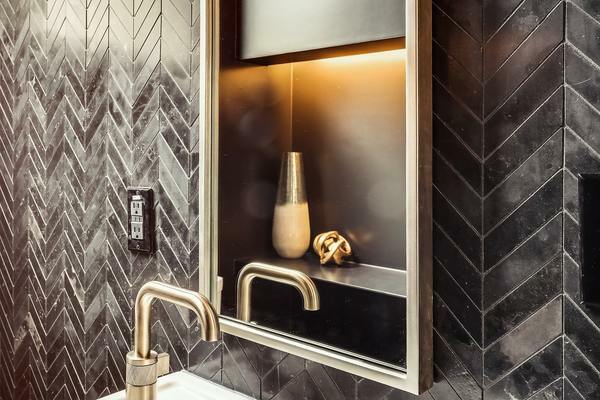 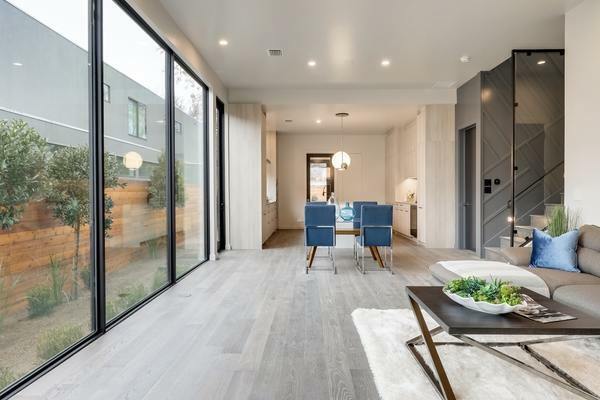 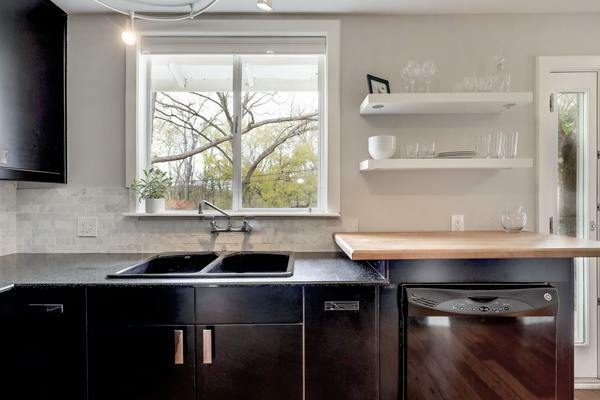 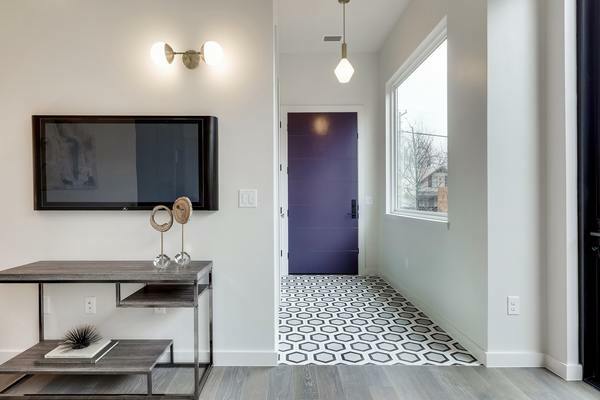 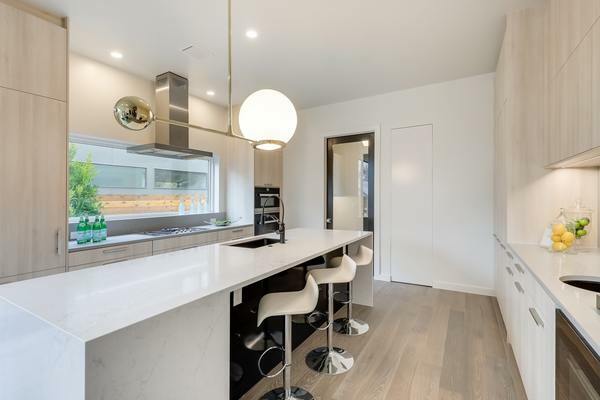 When buying new construction, details matter and 717 West Annie is the epitome of quality construction. 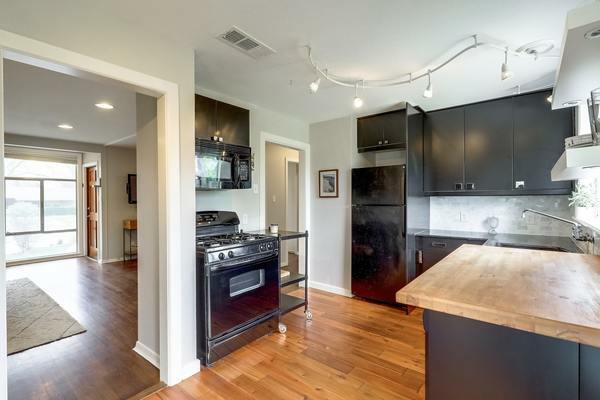 Featuring Miele refrigerator, dishwasher, microwave, oven, wine refrigerator and 5 burner gas range top. 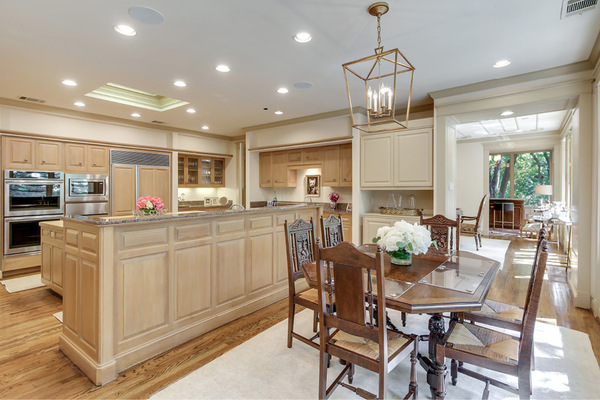 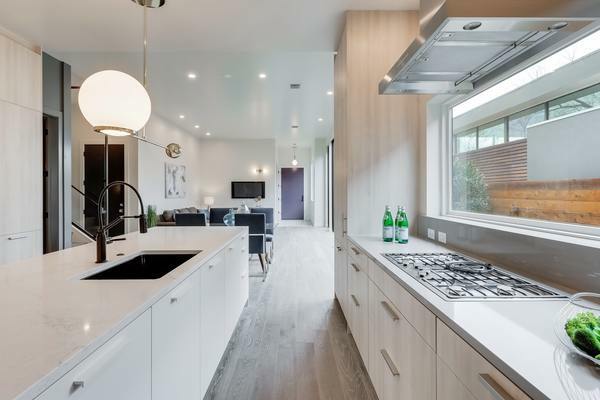 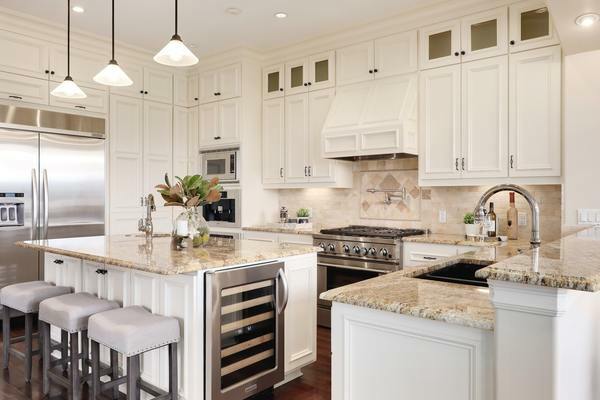 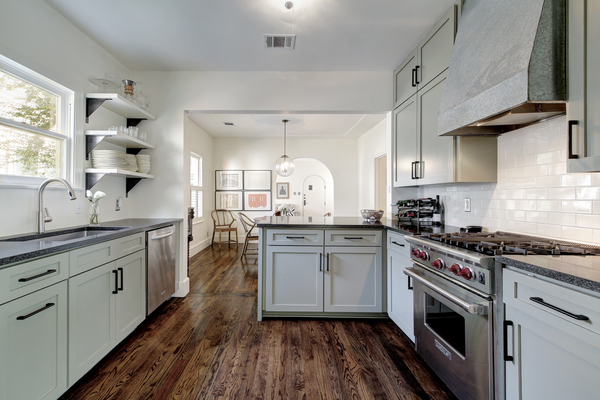 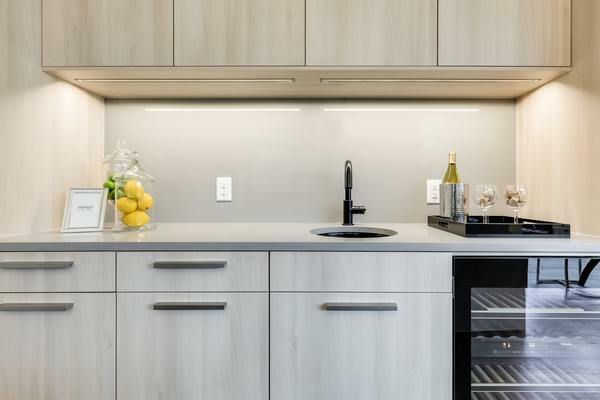 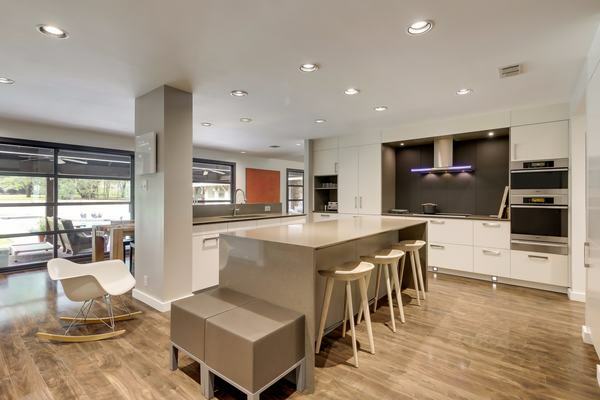 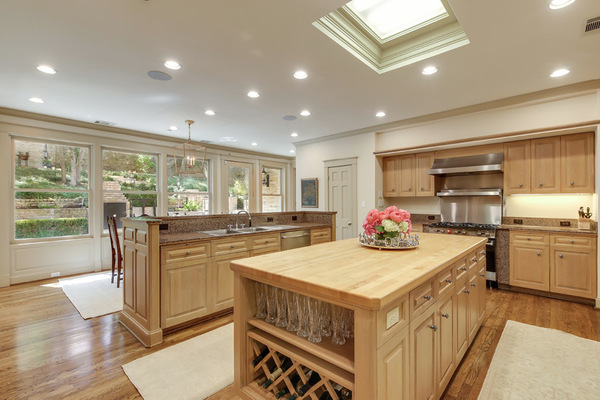 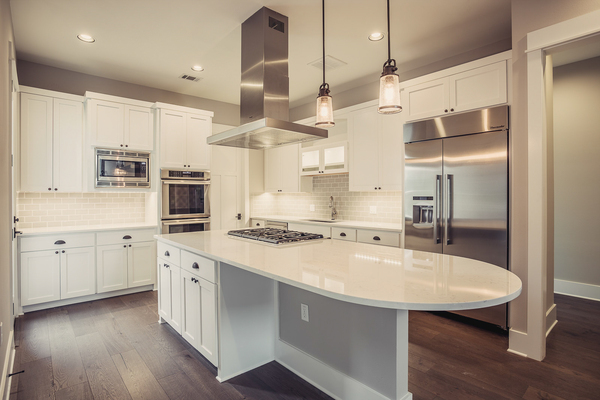 Custom German Leicht cabinetry that includes refrigerator and dishwasher integration. 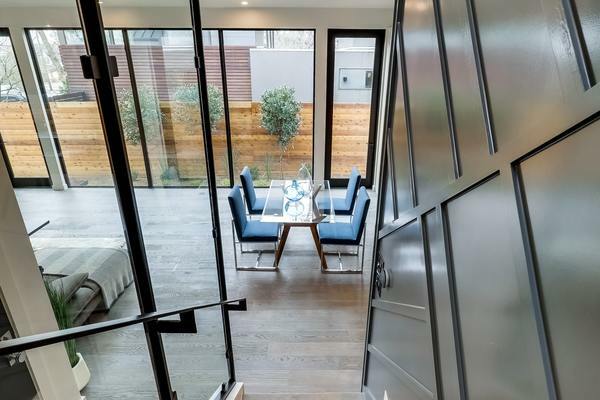 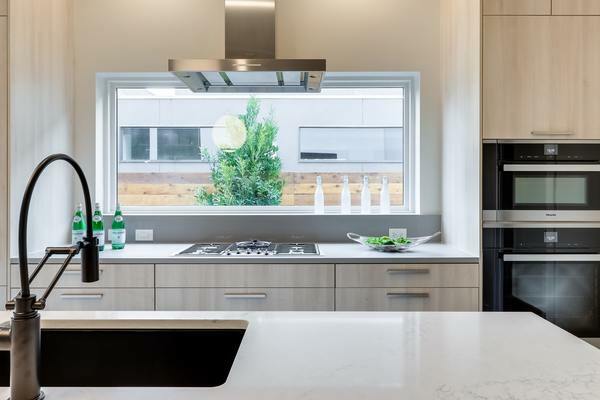 Large quartz island with a waterfall edge, level 5 wall finish throughout and breathtaking custom steel glass framed stairwell. 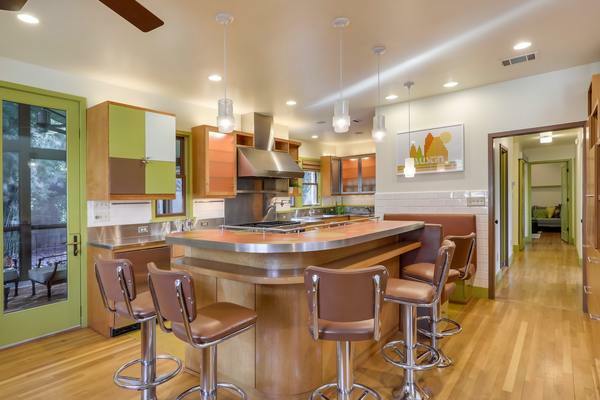 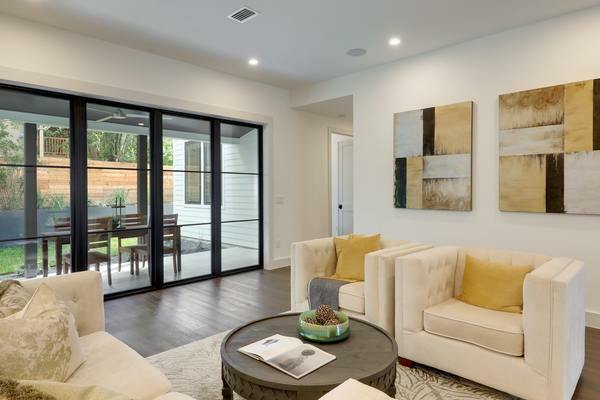 Wainscotting, pocket doors, Leuders limestone, Kohler and Restoration Hardware fixtures, skylights allowing an abundance of natural lighting, Ecobee thermostats, Western Window Systems, burnished plaster exterior and a standing seam galvalume roof. 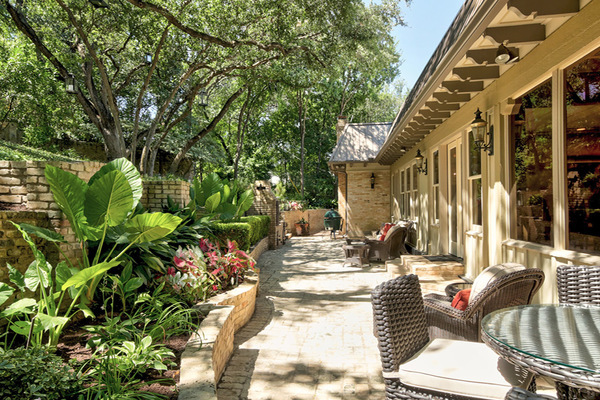 Clean-lined landscaping complete this custom setting. 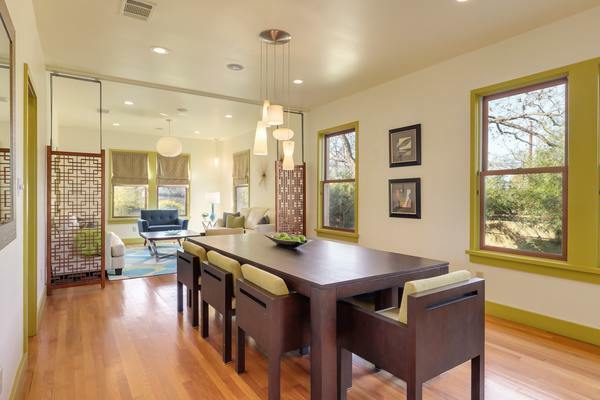 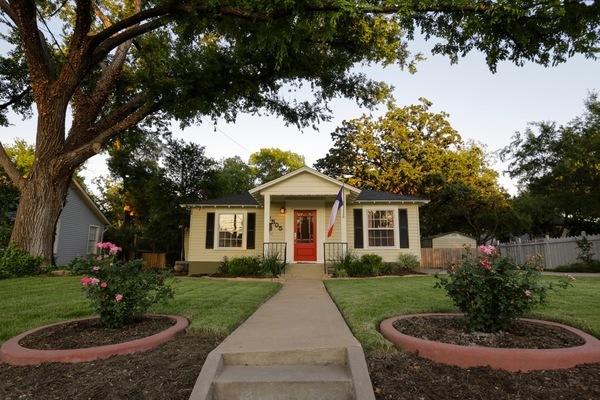 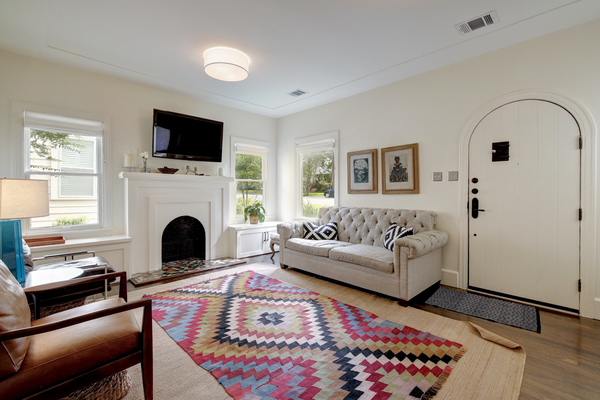 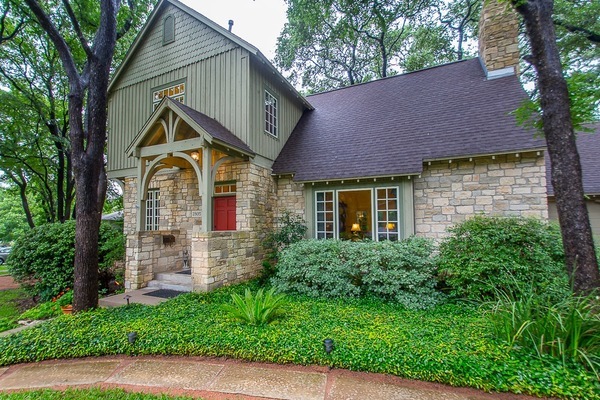 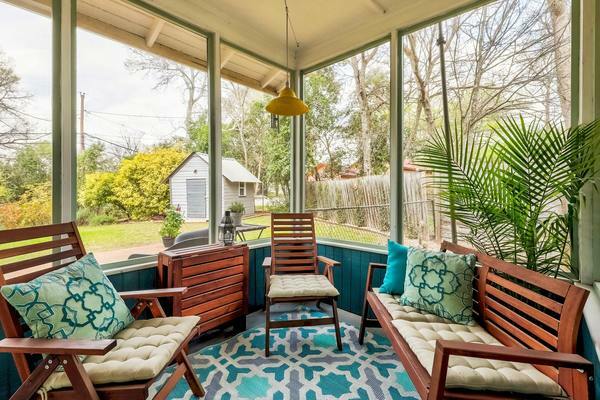 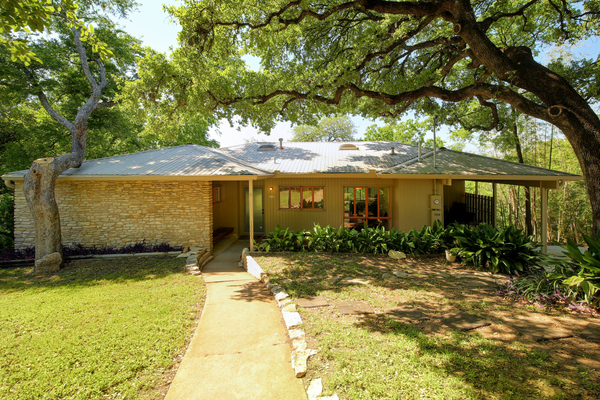 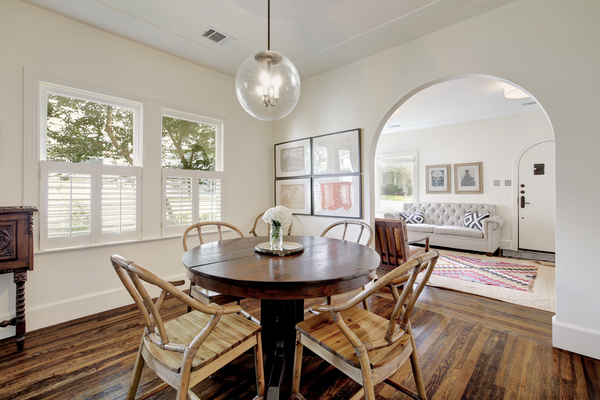 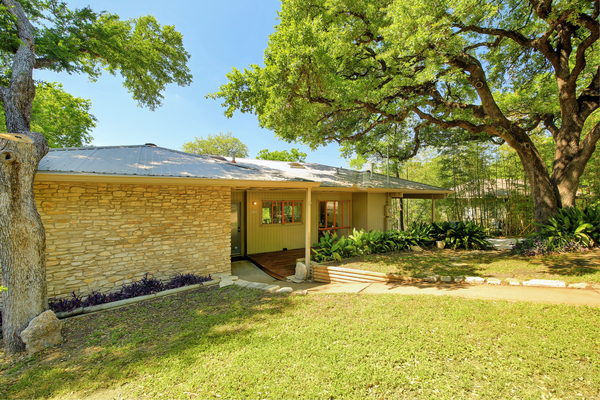 Own a small piece of history with this original A.D. Stenger home in south Austin. 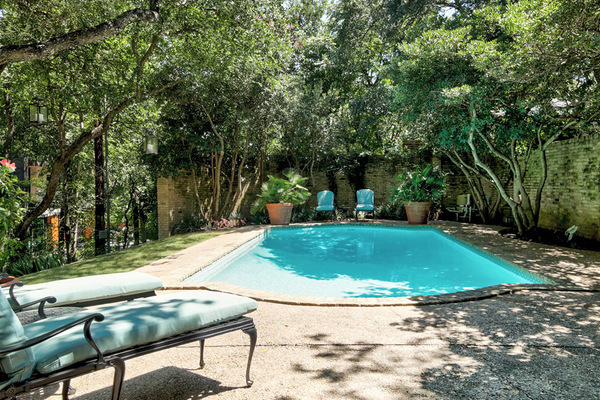 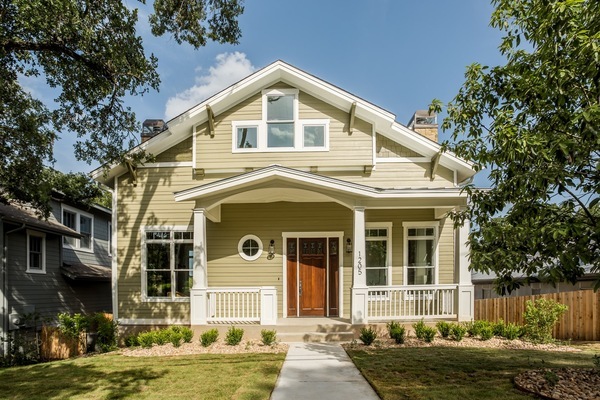 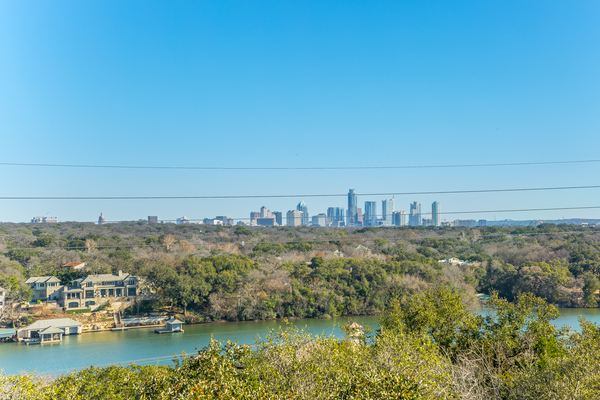 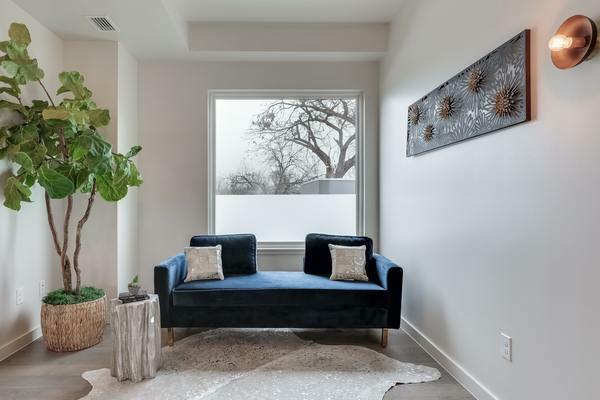 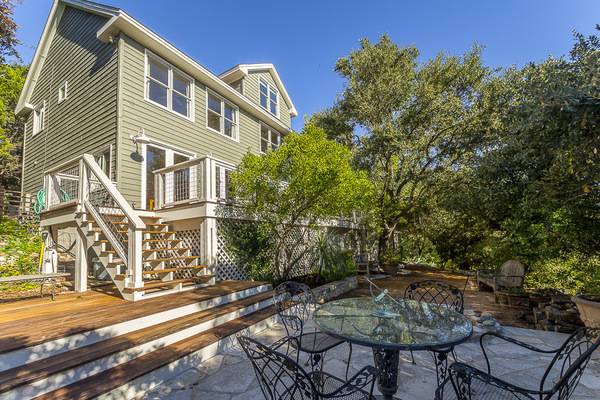 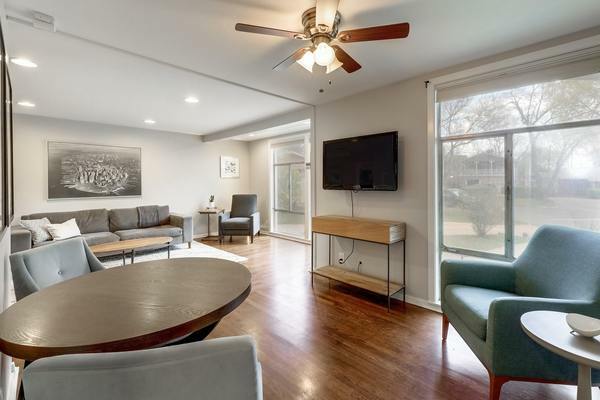 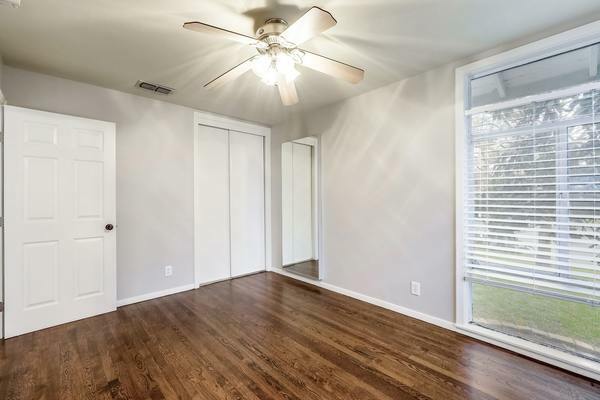 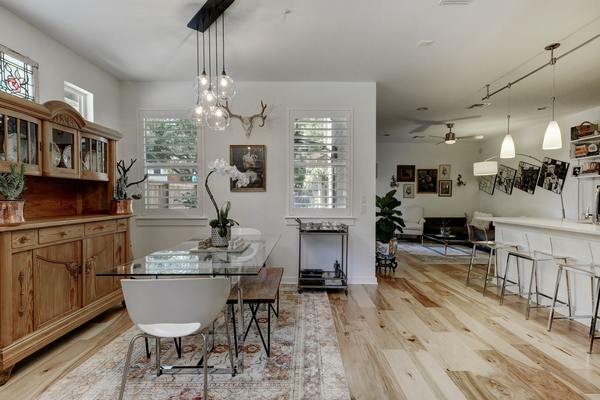 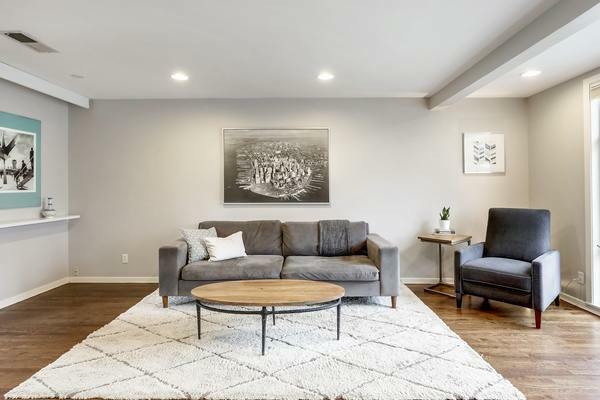 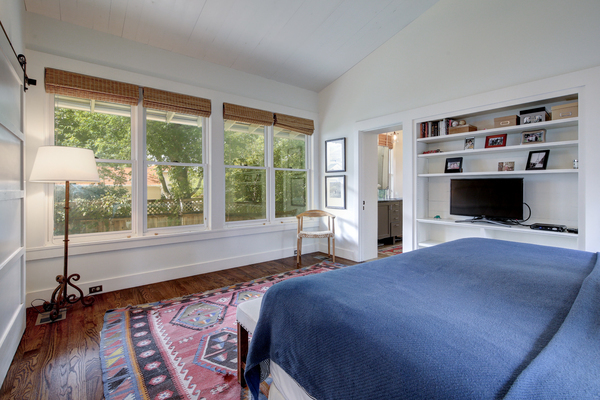 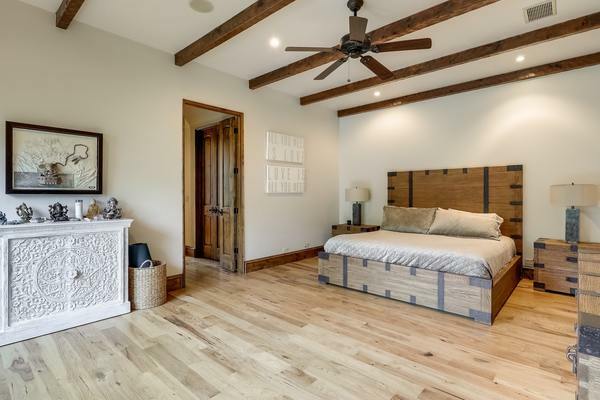 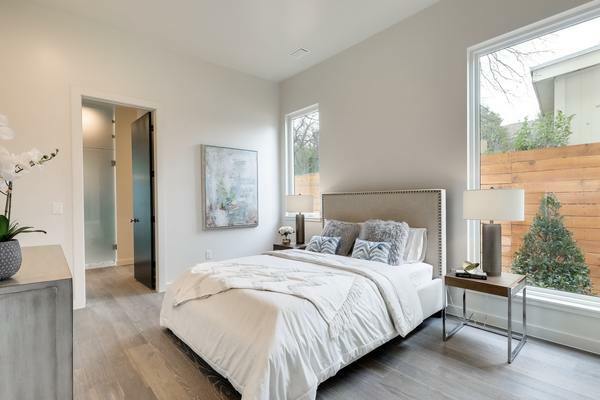 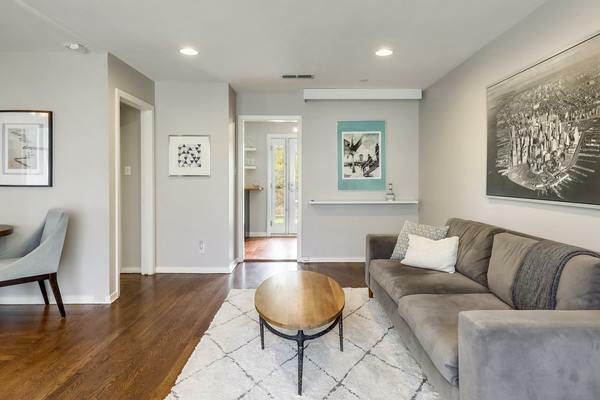 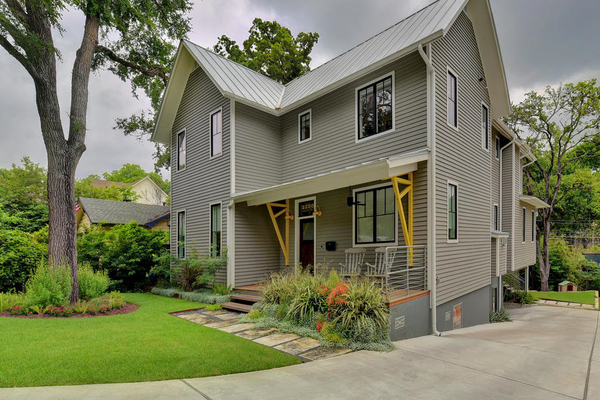 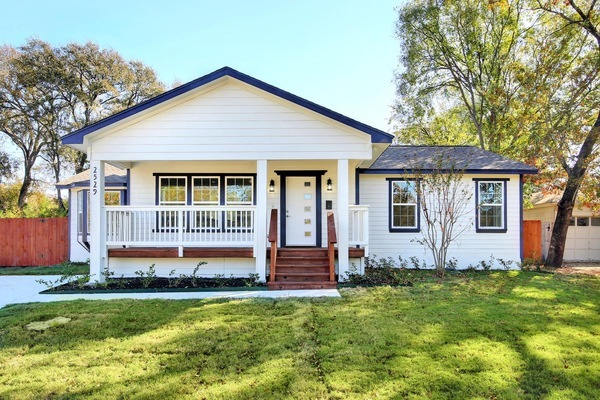 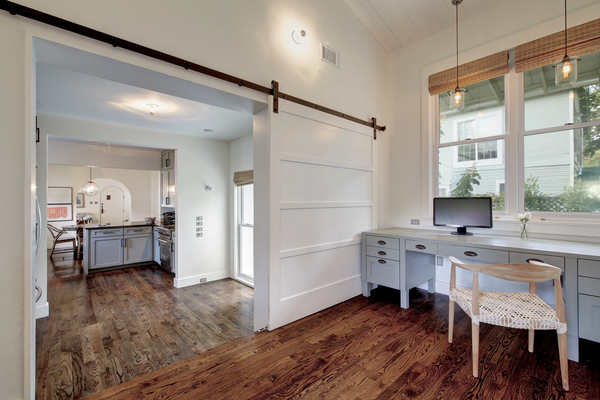 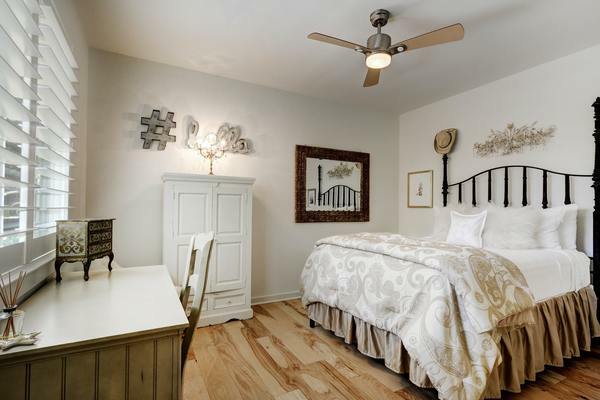 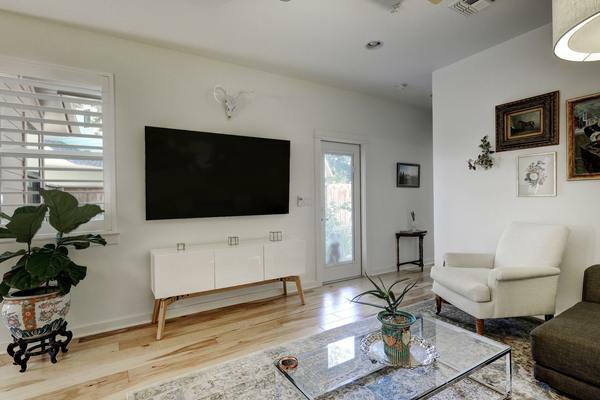 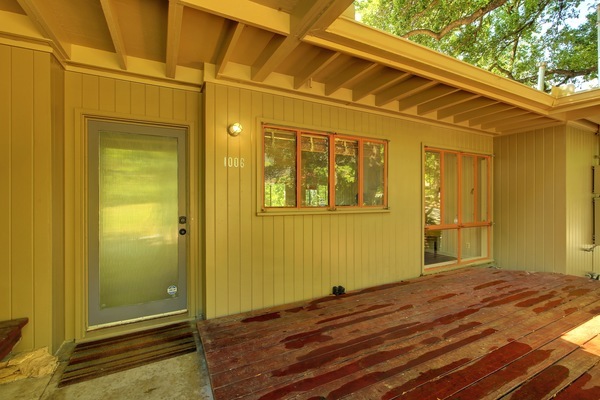 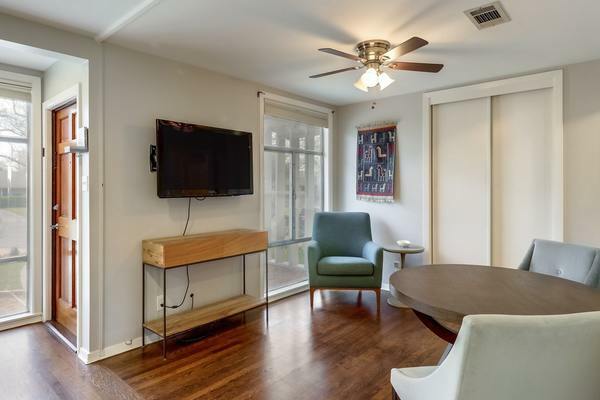 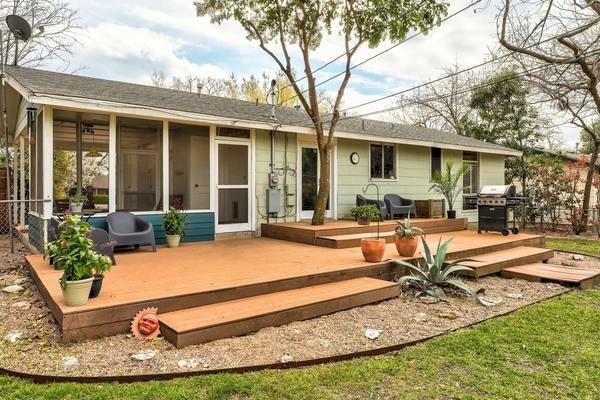 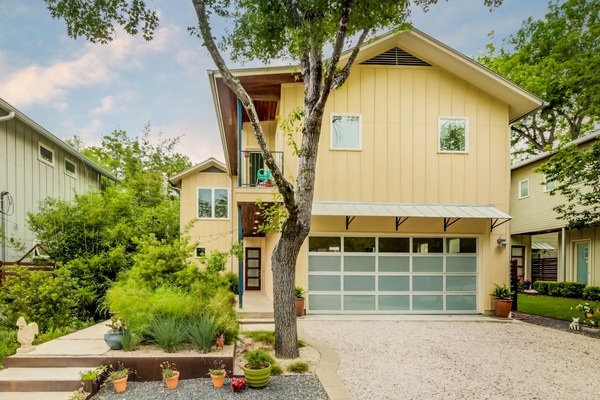 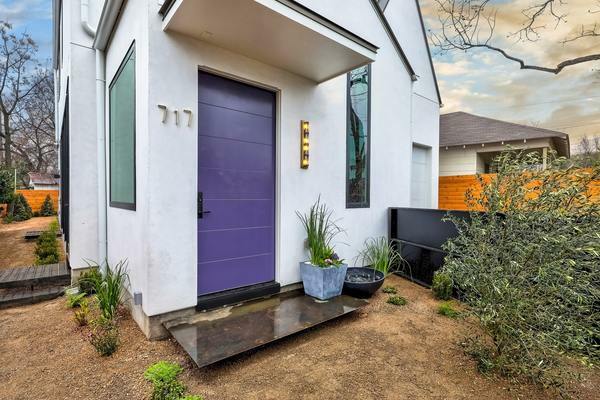 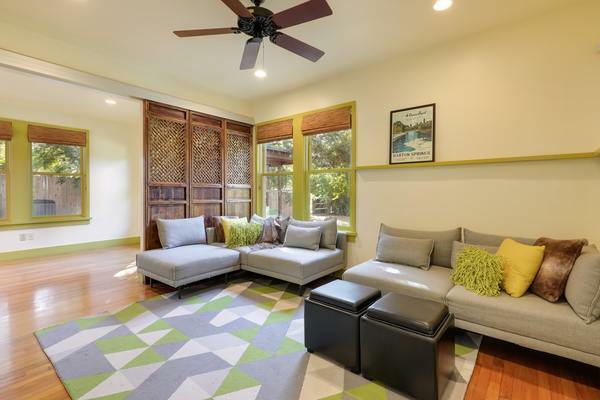 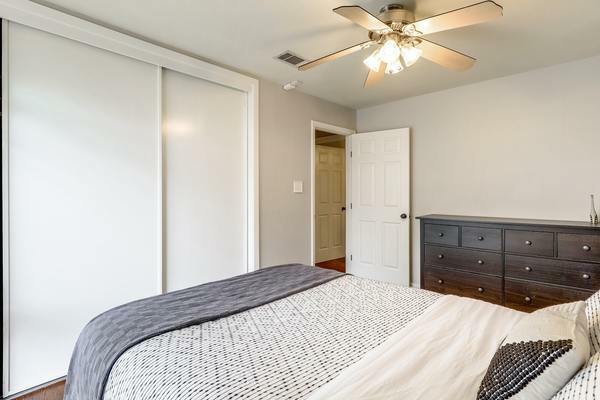 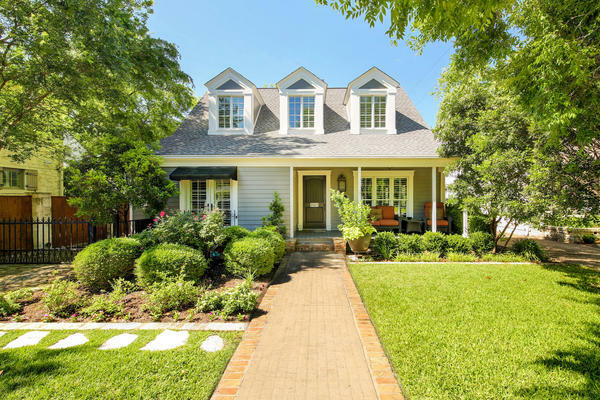 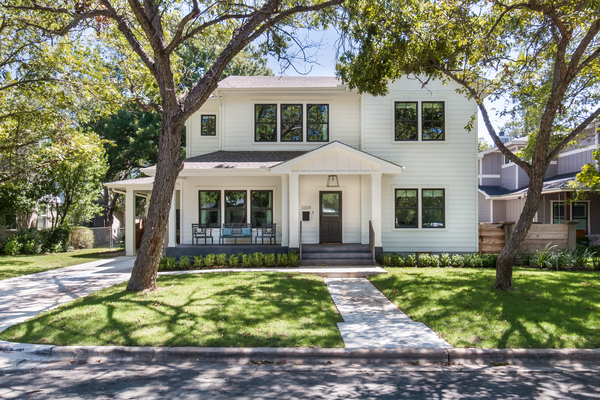 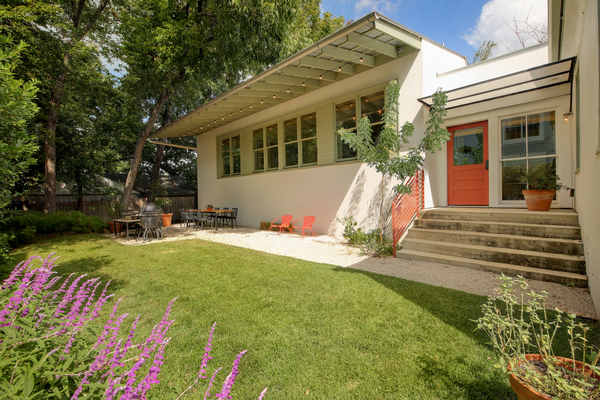 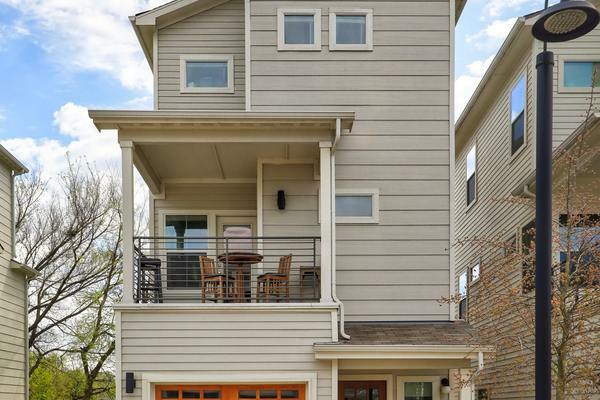 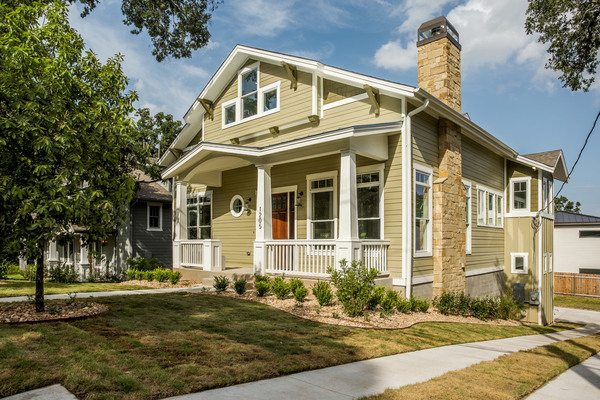 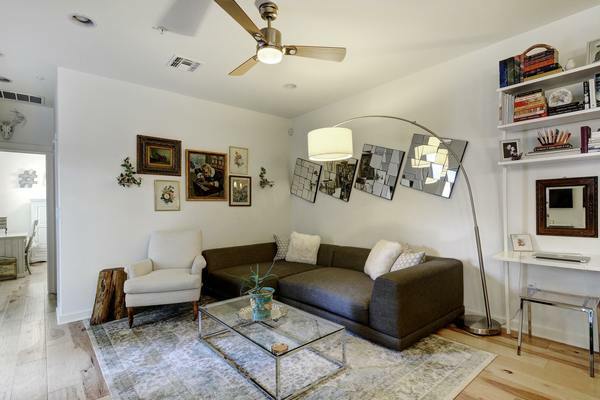 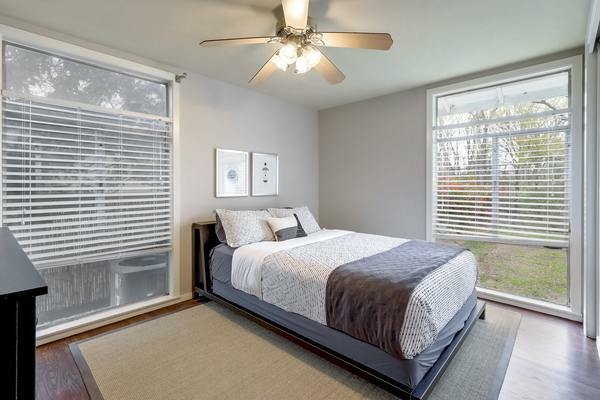 Located in the Zilker neighborhood, 1106 Bluebonnet is just a short walk to Barton Springs pool, the Ladybird Lake hike and bike trail and Zilker Park. 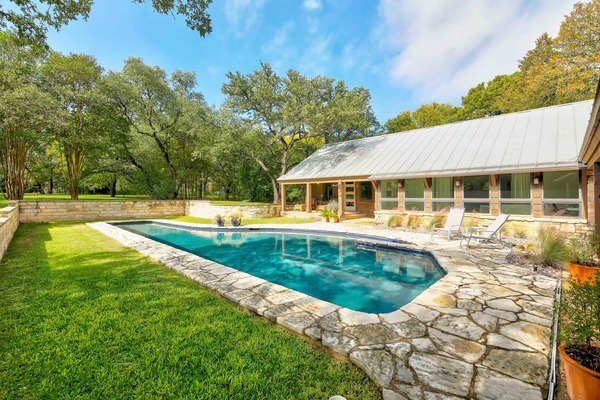 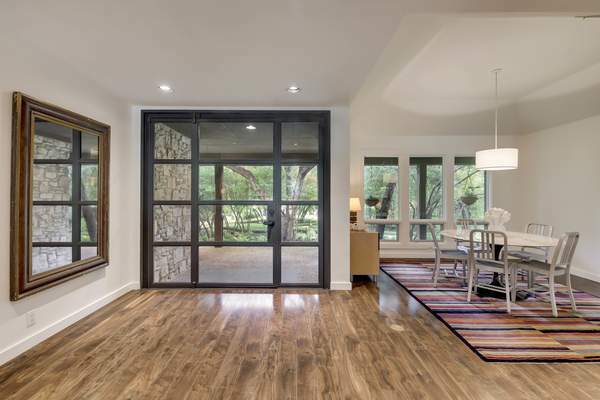 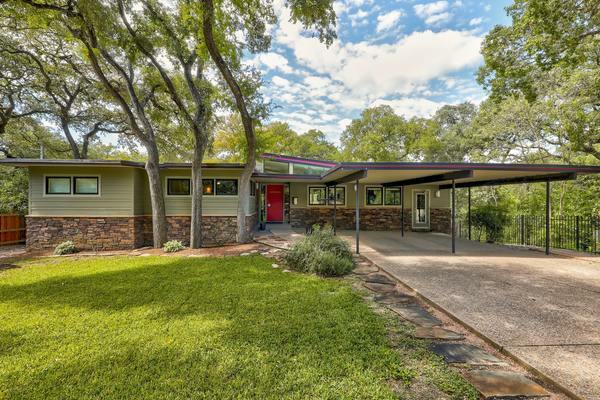 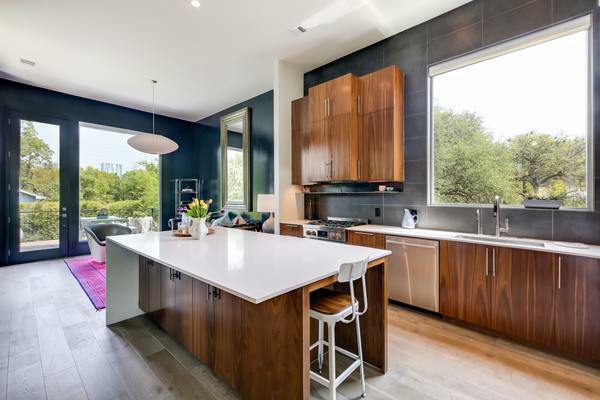 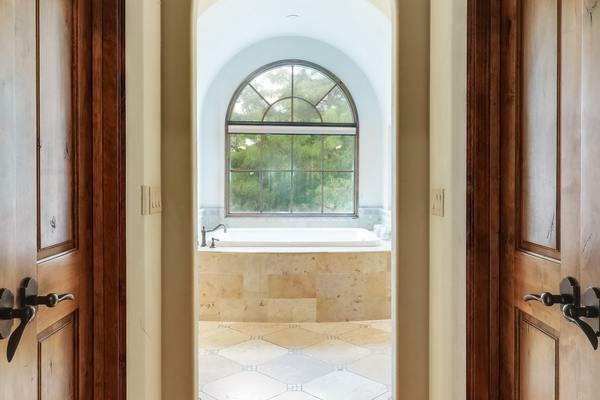 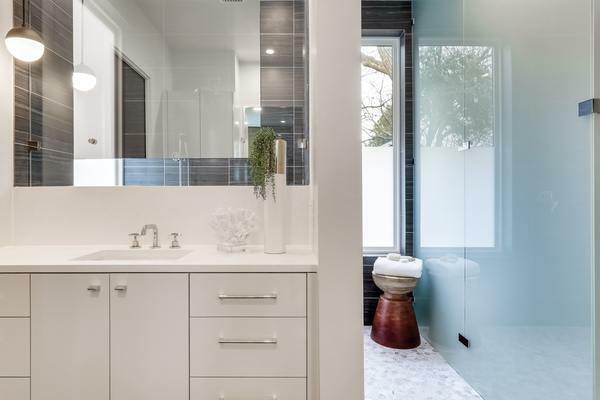 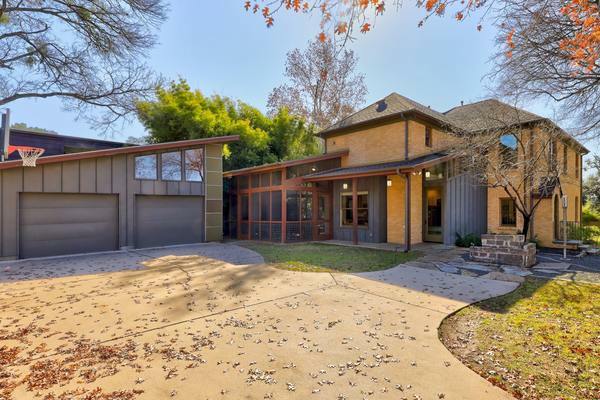 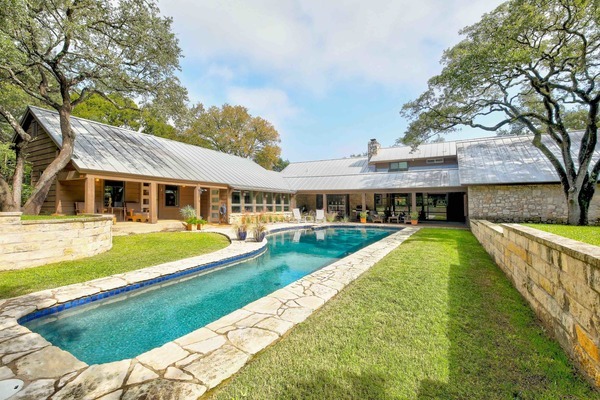 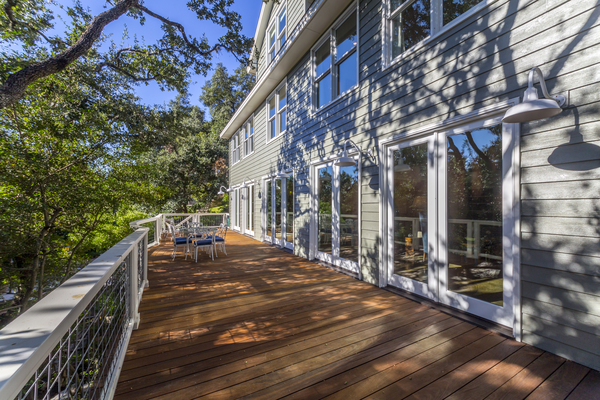 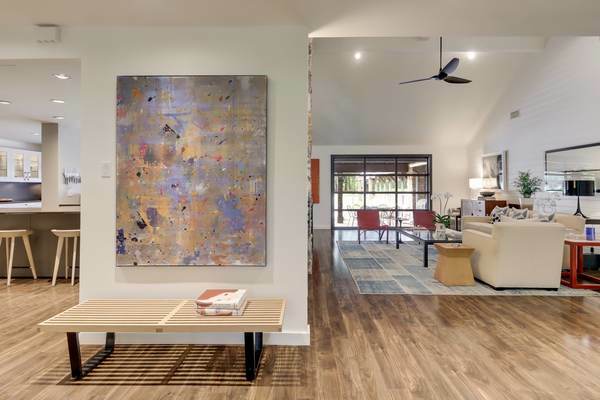 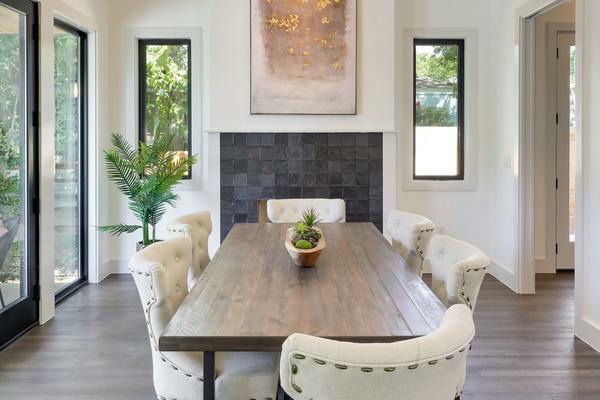 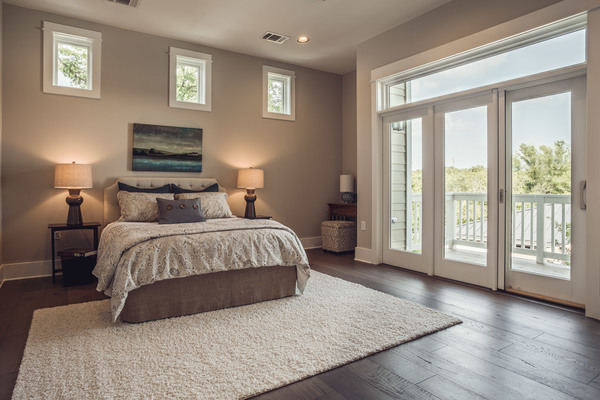 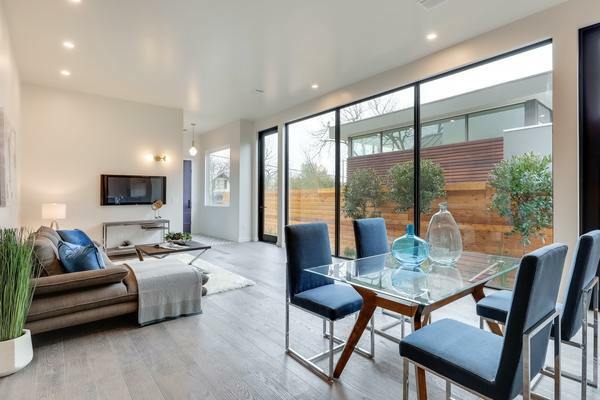 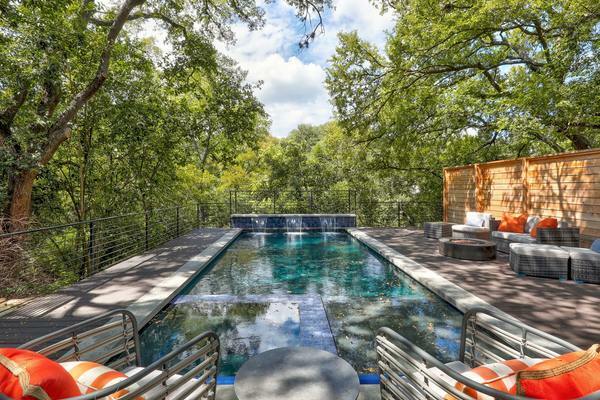 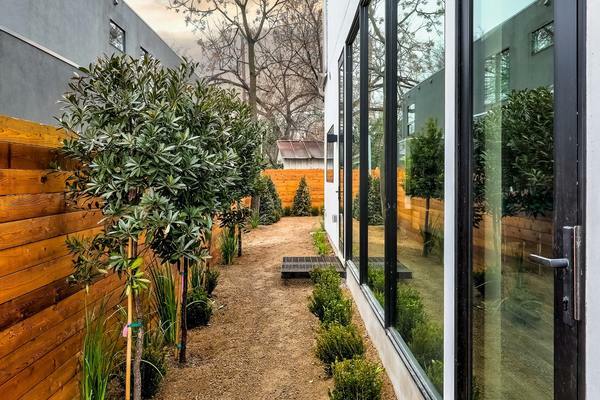 Enter through a quintessential MCM door and the eye is drawn straight to a large West facing wall of glass that overlooks an expansive pool/spa/deck and offers views of a wet weather creek and the hills of west Austin. 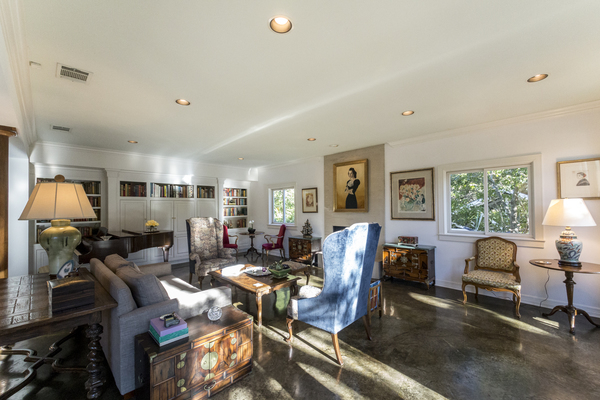 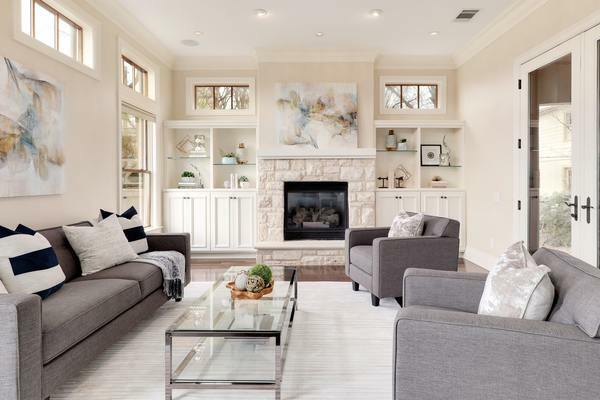 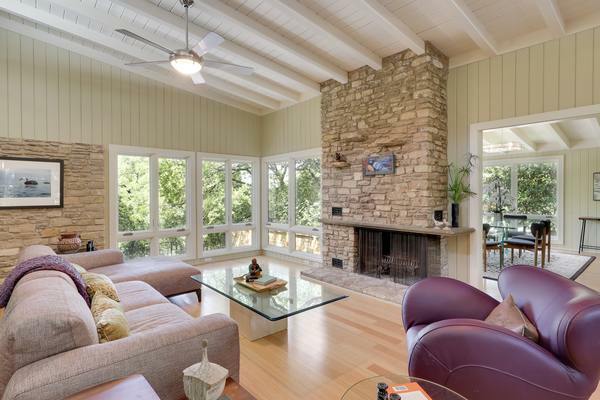 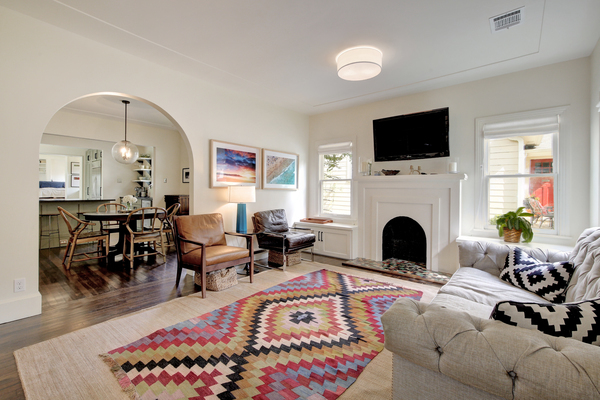 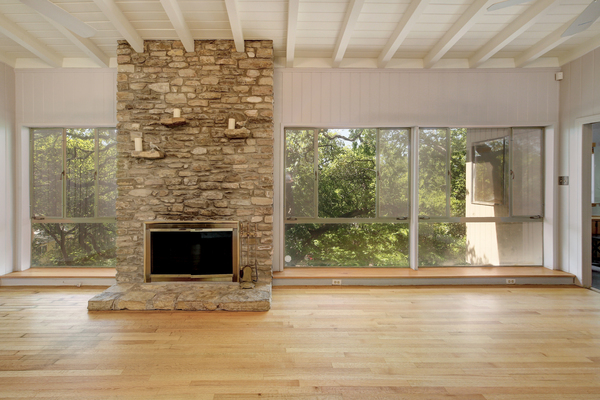 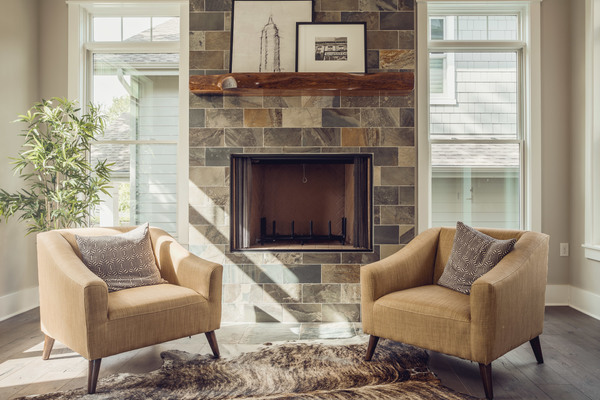 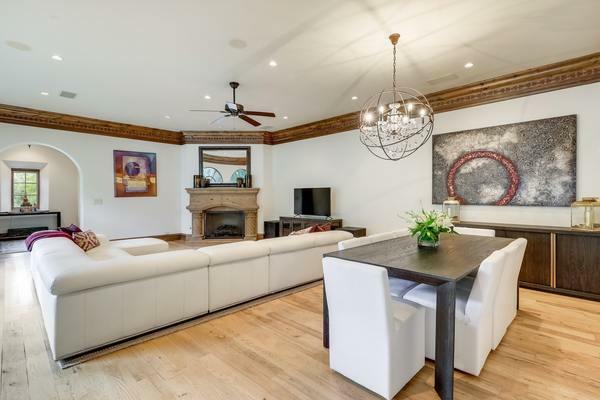 Pass through the living room and the mid-century detail continues with an original limestone fireplace, clerestory windows, and vaulted tongue and groove ceilings with post/beam construction. 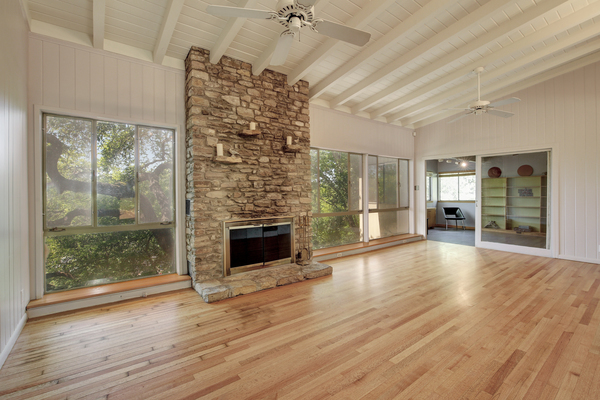 Access one of two covered decks from the living space or travel down a set of stairs to a guest space complete with a bath, kitchenette, game room, and yet another original limestone fireplace. 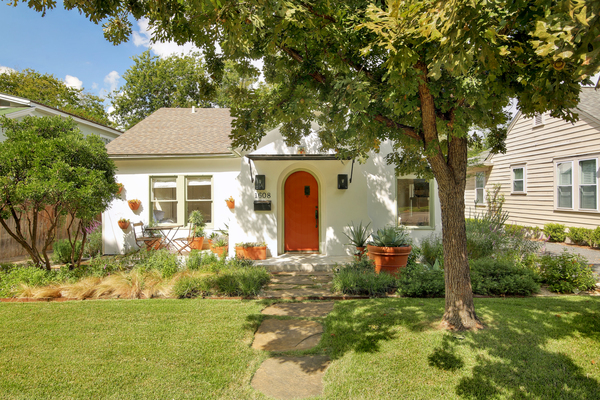 Updated home loaded with midcentury charm on a peaceful cul-de-sac in the heart of Windsor Park. 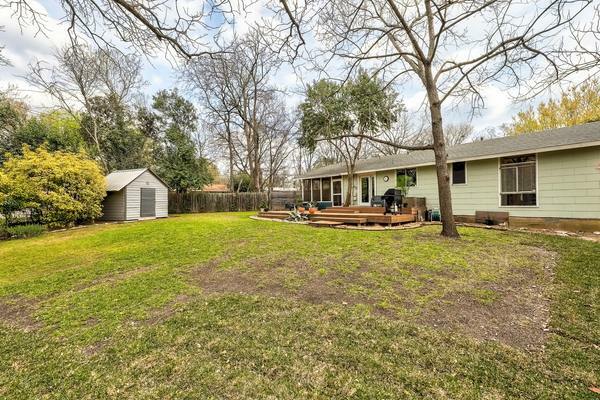 HUGE one third acre private yard with beautiful mature trees that backs to creek and wooded area; enjoy outdoor living on expansive deck and screened porch. 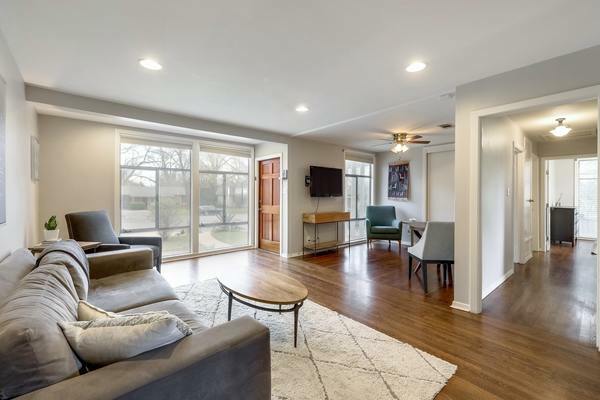 Inside, stunning hardwood floors, floor-to-ceiling windows and a thoughtful floor plan maximize space.. Close to downtown, and walkable to Mueller, HEB, Alamo Drafthouse, Torchy's and Bartholomew Park. 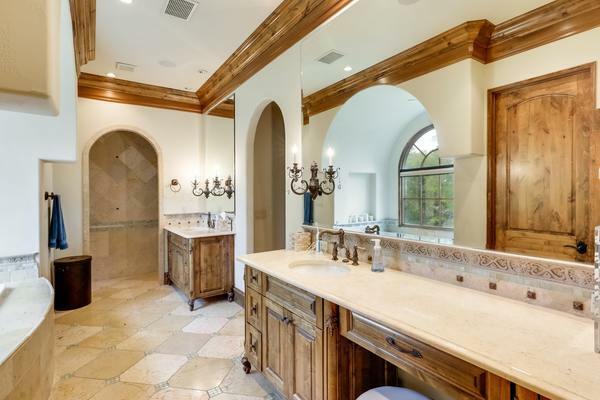 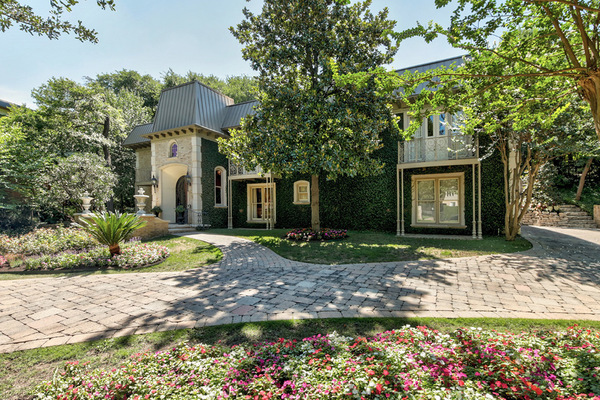 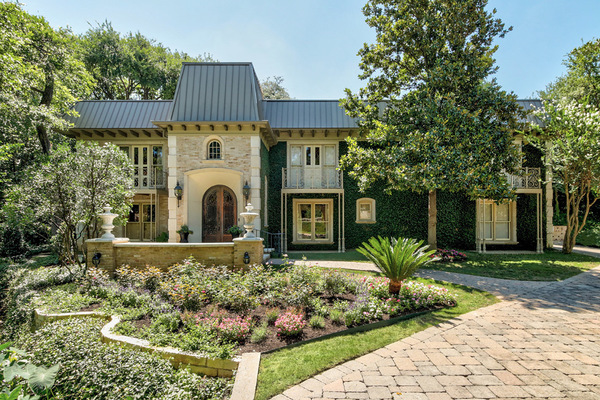 Located in the heart of central Austin’s Tarrytown neighborhood, 2621 Pecos is an old world estate that offers traditional sophistication and exceptional privacy. 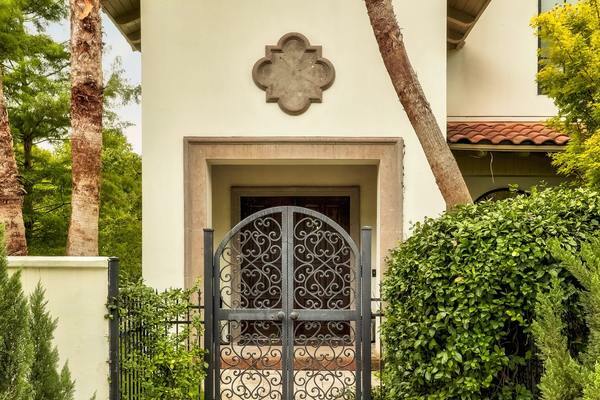 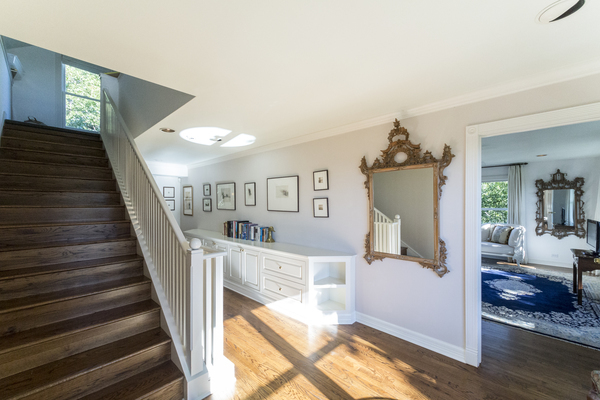 Enter through and arched doorway to the double height grand foyer. 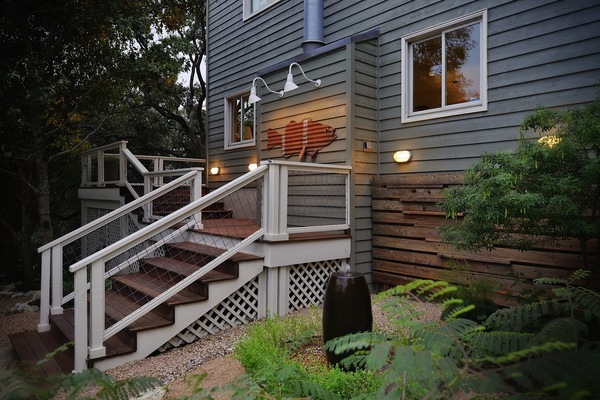 Have guest turn left to a private suite or ascend to the main level via a set of stairs that sweep ever upwards. 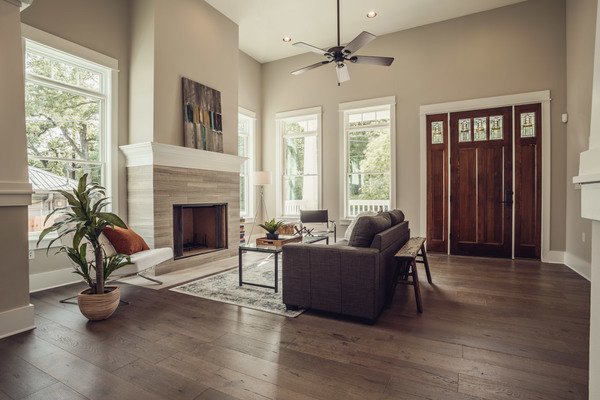 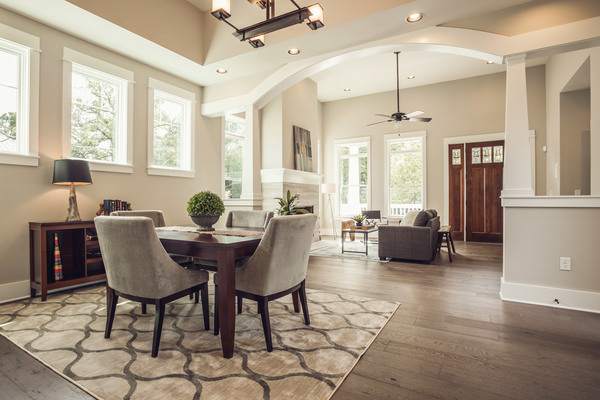 At the landing, turn left to enter the great room that features coffered ceilings, intricate moldings and an impressive fireplace. 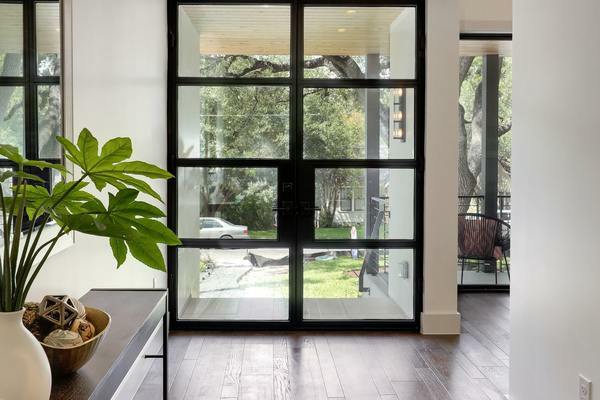 The east side of the house features large windows which allow light into the kitchen, the bar, the great room, and the master suite. 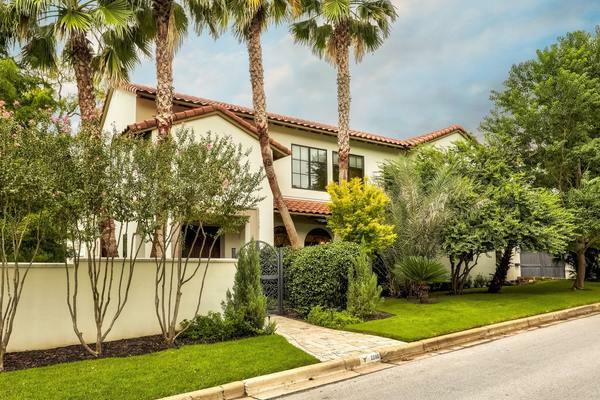 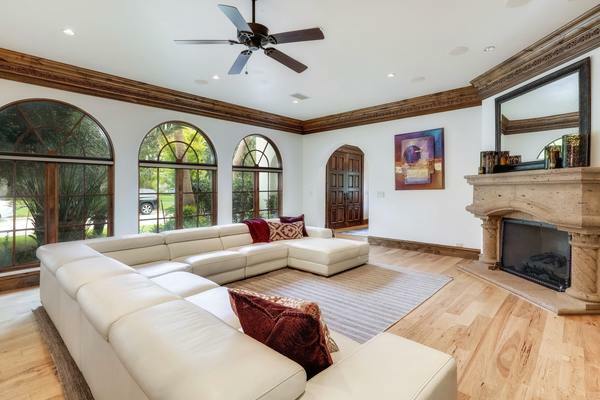 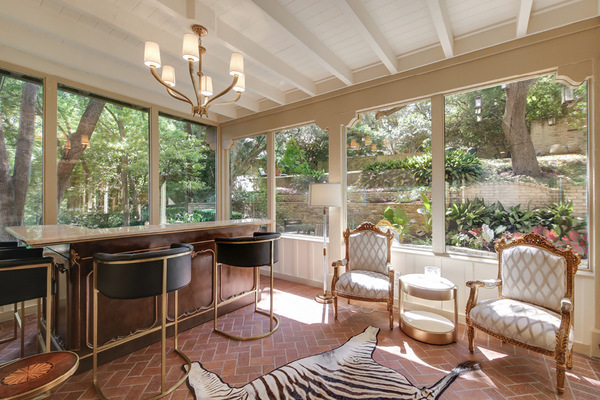 The windows frame the elegantly landscaped backyard complete with a private patio and a pool perched above the house hidden by numerous live oaks.